Lat week, Kate, our Volunteering Development Officer, and I went along to Sackville School to talk to some of the sixth formers’ about volunteering for the National Trust and Standen. There are many roles across the property here from the garden to the house to the wider estate to admin – within each domain, there are varying roles from people giving just one hour a week to people who give several days – it is all dependent on how much time you wish to give. For me, it was interesting to hear about some of the roles that fall outside of the house, like garden stewards, who are not so much involved in the garden but are more involved in being around to talk to visitors. Talking to 16, 17, 18 year olds sixth formers made me think about what angle would get younger people interested and enthusiastic about volunteering, especially as it would mean giving up their time after school or on the weekend when they could be out with mates, having part-time jobs or even completing school work. I found that talking about the fact that volunteering looks good on your CV and that it can make your application for University stand out, got them thinking about what would suit them. Visiting this school also made me realize what opportunities there are out there for everyone, not just for younger people but also those who are looking to increase their skill set or even as something to do once you retire. The key is letting people know, which was the point of visiting the school but also about this blog. So if you would like to get involved or if you know someone who like to learn something new and different then please contact us. Categories: Uncategorized | Tags: Arts & Crafts, conservation, Experience, Historic house, House, Interpretation, National Trust, Opportunties, room guide, room steward, Sackville School, Skill Set, Standen, training, visitors, volunteers | Permalink. On the 19th June, the house team at Standen, including myself, went on a Learning at Work Day. This basically means we got to snoop around two places to see how they interpret and present their collections! This was just before I started so it was a nice opportunity to meet the team outside of an interview situation. It definitely made my first day the week after less daunting! 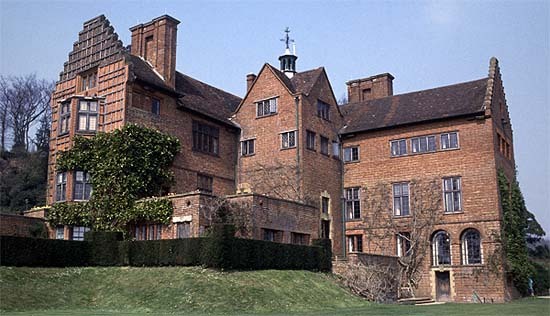 The first place we visited was Sutton House, which is a beautiful Tudor house in the middle of London. 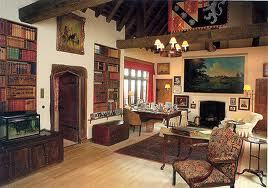 It is a classic medieval property with dark wood panelling and huge fireplaces dominating every room. After a morning wandering around – it is amazing how much time you can spend in a small property – we then went onto the Geffrye Museum of the Home. It is a series of narrow almshouses that have been converted into a museum that shows the development of urban living rooms and how style, fashion, taste and society have influenced how we use rooms today. By this point we were very hungry so had a wonderful lunch at the cafe there, though they did struggle to get the food out quickly as we were quite a big group! 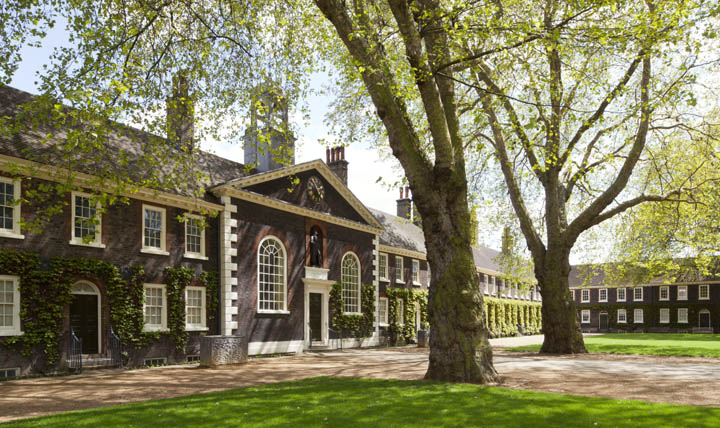 The Geffrye Museum is very long and narrow – only as wide as a small room. It was very enjoyable though and interesting looking at how room designs and uses have changed over the last few hundred years. Over of course, we had to have the obligatory cake break as well. 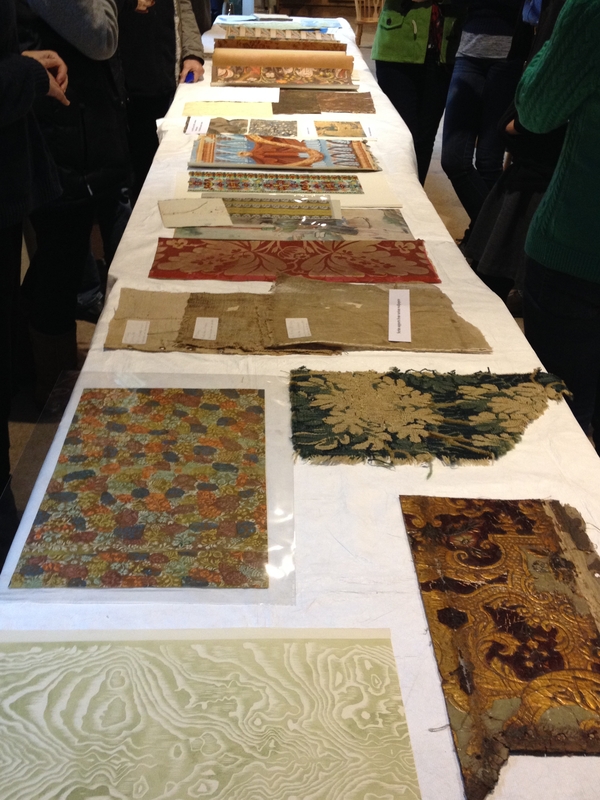 Overall, we had a lovely day out and it gave us all loads of ideas of how to present our collection here at Standen, especially about using today’s technology like iPads and mobile phones. Hopefully over the next few years, a few of these ideas will start to appear here. Categories: Uncategorized | Tags: Arts & Crafts, collection, Geffrye Museum, Historic house, House, House Team, Interpretation, Learning at Work, London, National Trust, Standen, Sutton House, training | Permalink. Hi I am Lizzie, the new Conservation and Interpretation Assistant here at Standen. I am Hannah’s successor to the role and, like her, will be here for the next year. I have spent the last few weeks learning my way around Standen and meeting all of our lovely volunteers and staff members, all of whom have been very welcoming and friendly. It has been very busy – I am pretty sure I spent the first week in a haze of new impressions and names! Prior to starting here, I was a Conservation intern at another National Trust property for 4 months. This introduced me to some of the routines and basic skills that are needed to help preserve historic houses. I am really excited about this role here at Standen as it gives me the opportunity to learn more about what it means to be a Conservation and Interpretation Assistant and more about the intricacies of running a historic house within the National Trust. Like Hannah, I will be writing posts about the things that we get up to behind the scenes here at Standen and also about my experiences of the next year. I am also open to including posts written by and about our volunteers and their experiences of Standen. 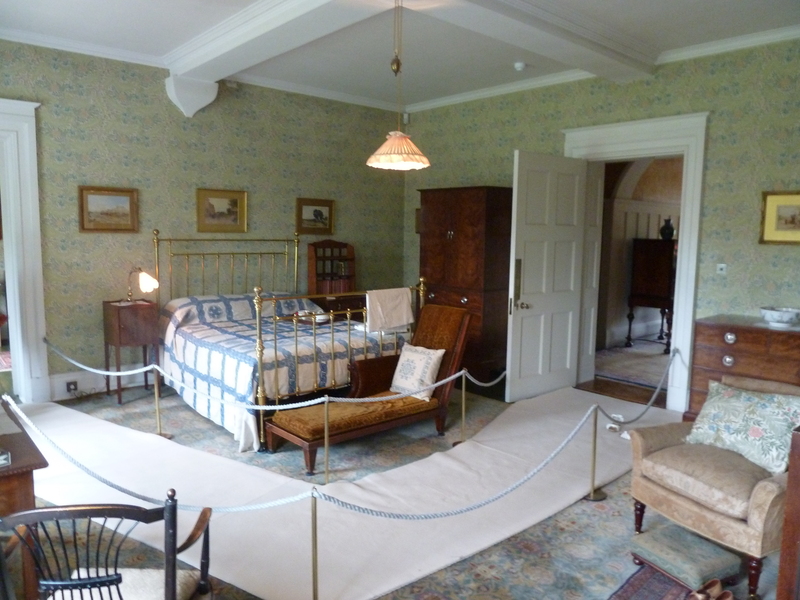 As this is my first post, I thought that I would talk about my favourite room here at Standen – the Larkspur bedroom. 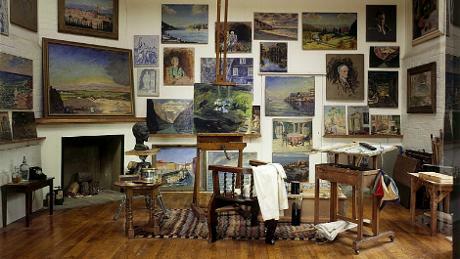 Part of the reason I like it is that it is a warm, calming and comfortable room. I also like it because it feels the most alive of all the rooms in the house – I am always half expecting Amy Beale to come around the corner! So what is your favourite room here at Standen and why? Categories: Uncategorized | Tags: Arts & Crafts, Beale, collection, conservation, Historic house, House Team, Interpretation Assistant, National Trust, new start, room guide, room steward, Standen, training, volunteers | Permalink. We’re rapidly approaching the end of June, which should hopefully mean the sunny weather is here to stay. For me, it also means the end of my training post here at Standen. My year here has gone incredibly quickly, and it’s strange to think that this time last year I was fresh out of university and very nervous about starting my first role within the heritage sector. It really does seem like only yesterday! I’ve learnt a tremendous amount here at Standen, and have loved every minute of it: working with such dedicated staff and volunteers has been a privilege. I will shortly be starting as Assistant House Steward at Stourhead in Wiltshire, and it really is down to my time at Standen – and the support I have been given – that I am able to confidently take the next step in my career. I’ve really enjoyed writing this blog, and sharing with you ‘behind the scenes’ at Standen – I hope you’ve enjoyed reading. I’d also like to take this opportunity to introduce the next trainee Conservation and Interpretation Assistant, Lizzie, who will shortly be writing on the blog. 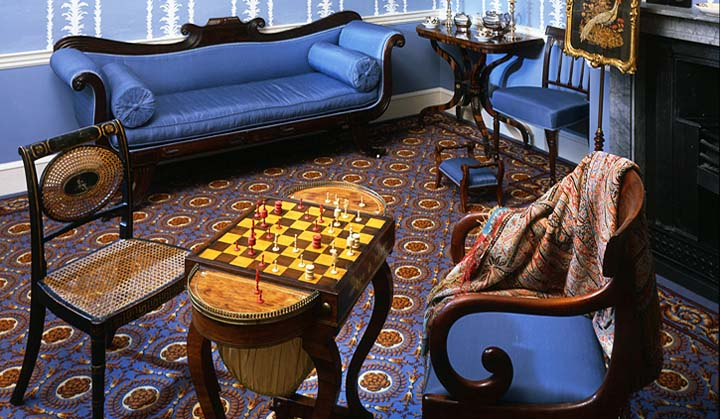 I’m going to sign off with a picture of Dobbin, the lovely rocking horse in the Billiard Room. 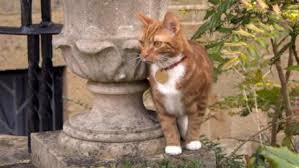 For me, he symbolises what Standen is all about: a family home full of beautiful things. Categories: Uncategorized | Tags: collection, Hannah, House, Lizzie, object, Standen, training | Permalink. Many historic places or buildings housing historic collections have a salvage plan to help deal with the aftermath of an incident such as fire or flood. 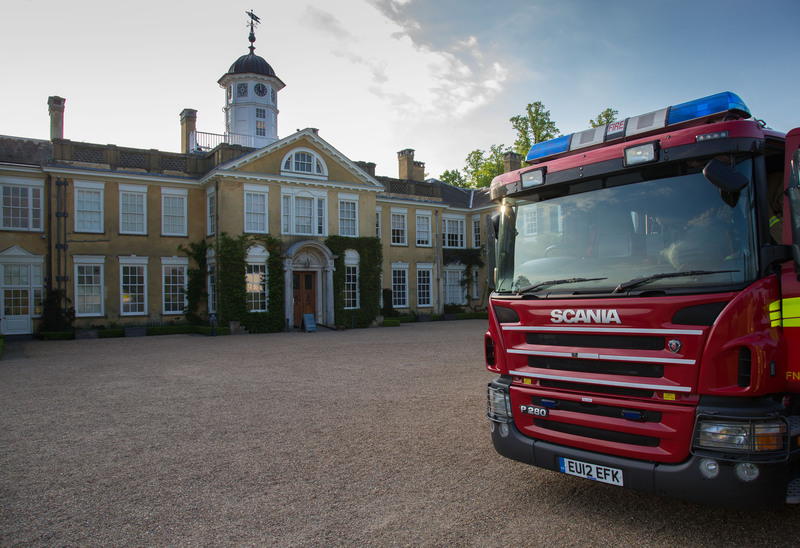 In May I attended a salvage training exercise at Polesden Lacey; a full-scale incident which even involved local fire crew! 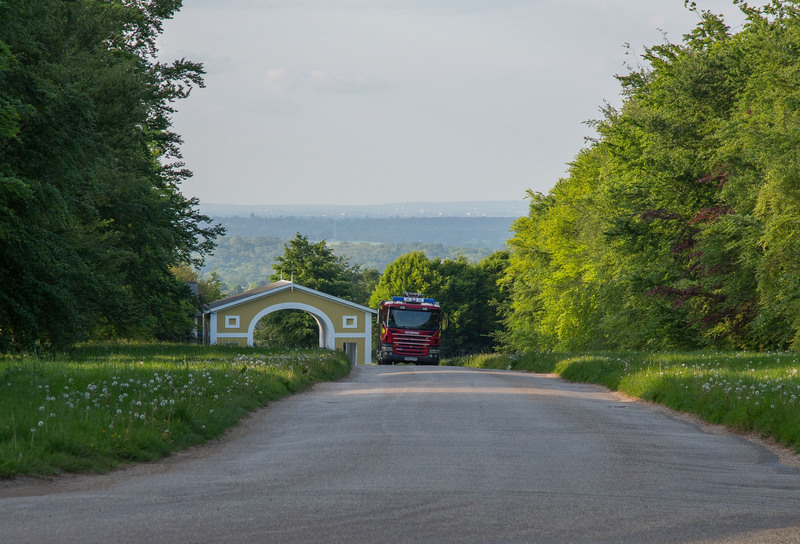 Salvage plans are designed to safely move and protect objects after a major incident, and National Trust salvage plans are tailored to the individual needs of each property. 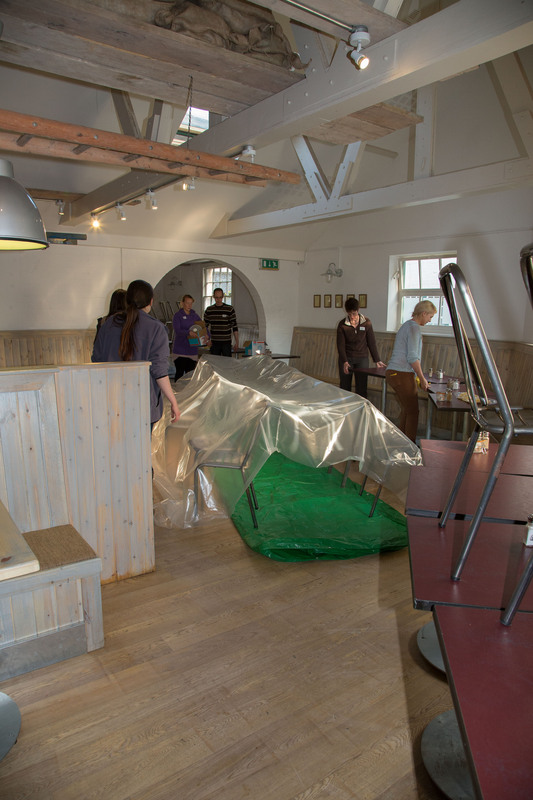 Much was learned by the Trust in the wake of the devastating fire at Uppark in 1989, and the lessons learned then continue to inform the Trust’s approach to salvage and conservation (see here for an interesting piece about the Uppark fire). At Standen I am a member of the property salvage team, which also includes staff from different departments across the site. I have attended regular refresher training on the salvage process, but have never taken part in a full-scale training exercise – when I was offered the chance to attend Polesden Lacey’s training session, I jumped at it! 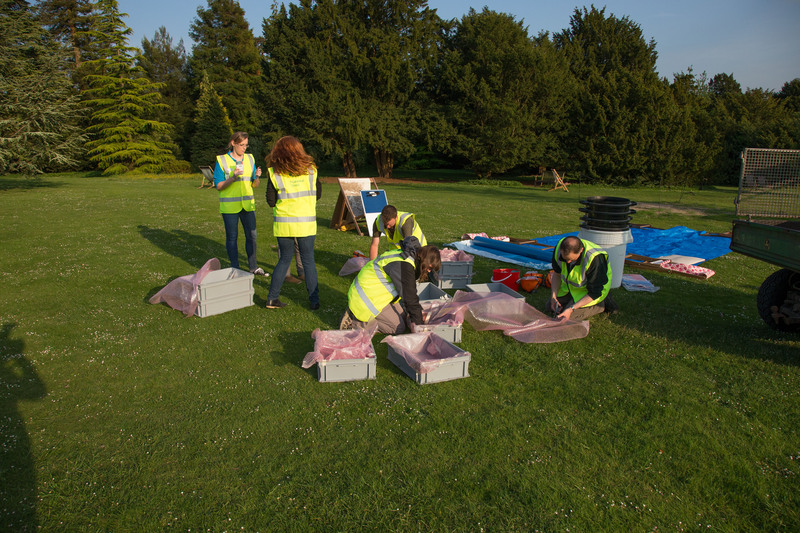 The training at Polesden took place after the property had closed for the day, and was attended by colleagues from local museums and Trust properties. 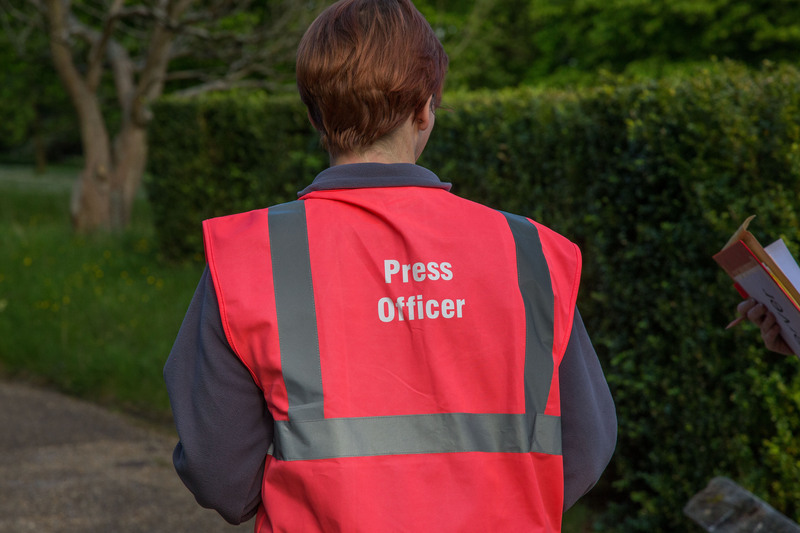 The fire alarm rang to signal the start of the exercise, and we were allocated our roles. 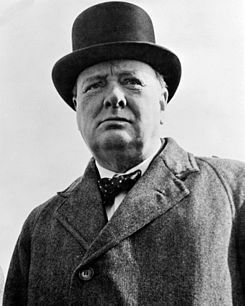 I was a member of the Salvage Team, and would be going into the building to remove important historic objects. However, first stop was the emergency store to get various pieces of equipment: room plans, personal protection equipment, and materials to prepare an area for objects immediately after they had been retrieved from the building. Shortly after this the fire service arrived, and they investigated whether the building was safe for us to enter. Once we had the ok from them, we began to enter the house in pairs, along with members of the fire service, to retrieve objects from the showrooms. While we were busy retrieving, the Recovery Team had set up a Safe Area for objects that been salvaged. Objects were checked against inventory lists, and a triage operation was set up to give attention to those items most in need of it. Part-way through the evening, we had a break to rest and grab some refreshments, and then swapped roles with those that had been on the Recovery Team, so that we had experience of as many different aspects of the exercise as possible. The exercise ended as darkness fell, so we gathered together and reflected on the evening. We all agreed that we’d learned a great deal: although regular refresher training at our individual properties is very useful, being able to take part in an event such as this gives you an idea of how a salvage operation really works. 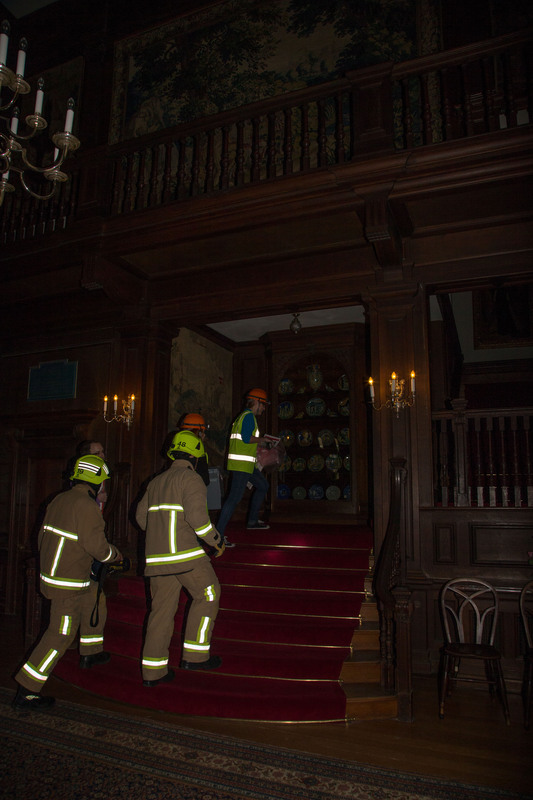 Categories: Uncategorized | Tags: collection, conservation, emergency salvage training, Hannah, Historic house, House, National Trust, object, polesden lacey, salvage, training | Permalink. Historic buildings are often known for a particular aspect of their collection – perhaps they have an unrivalled library, or a unique collection of ceramics. 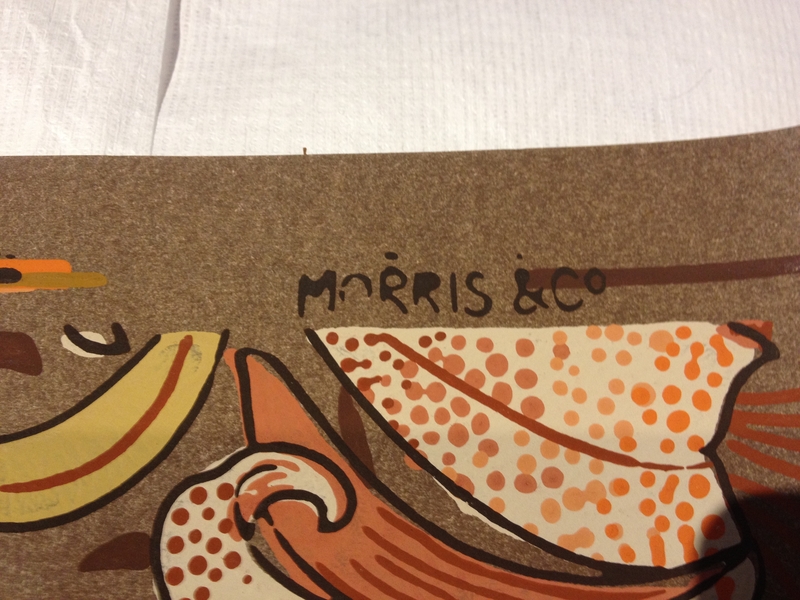 Here at Standen, we’re known for having – amongst other things – an important collection of William Morris wallpapers. 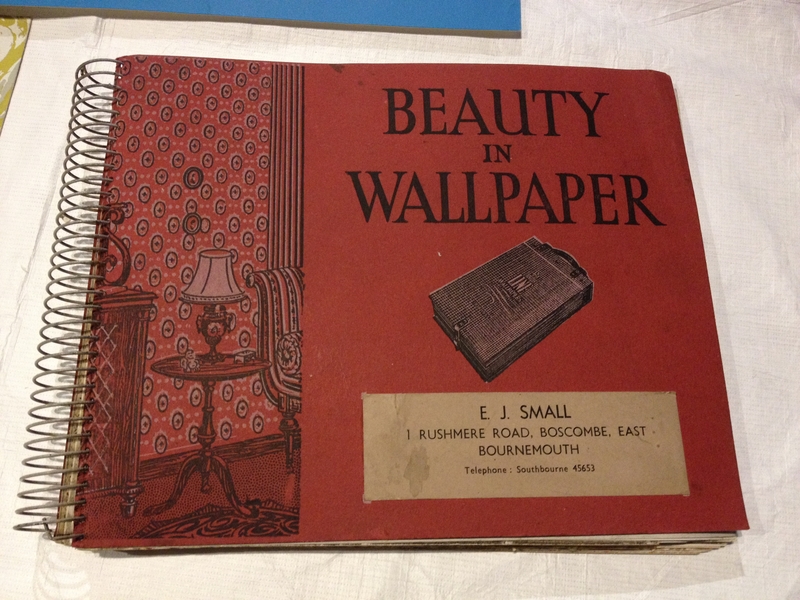 Wallpaper was originally developed to line the inside of books and chests; later being used on walls. Because of these origins, wallpaper was first sold by stationers, and was produced in individual sheets, rather than rolls. 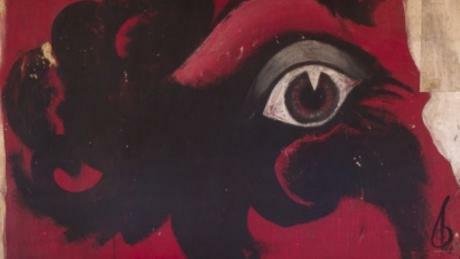 Wallpaper was intended to emulate textiles, and became popular first with the rich, later filtering down through society. It wasn’t really until the end of the 17th century that more ‘ordinary’ people began to use wallpaper to make their homes look neater. However, this didn’t include the homes of the poor – they started using wallpaper in the mid 1800s, when it had become much more affordable and commonplace. In the 18th century, wallpaper manufacturing and designs became more specialised; attracting taxation in 1712. Papers were marked with tax stamps, and in some cases, tax officers would visit wallpaper manufacturers at least once a day – a practice that lasted until 1836. 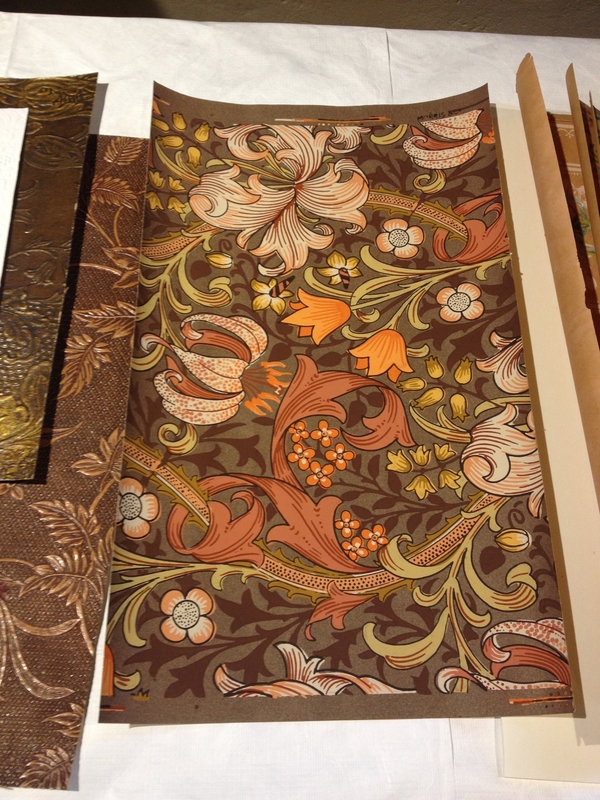 Many innovations in design and manufacturing were developed, with the choice of wallpapers becoming vast: from stencilled to flocked; leather to textiles; block printed to machine printed. 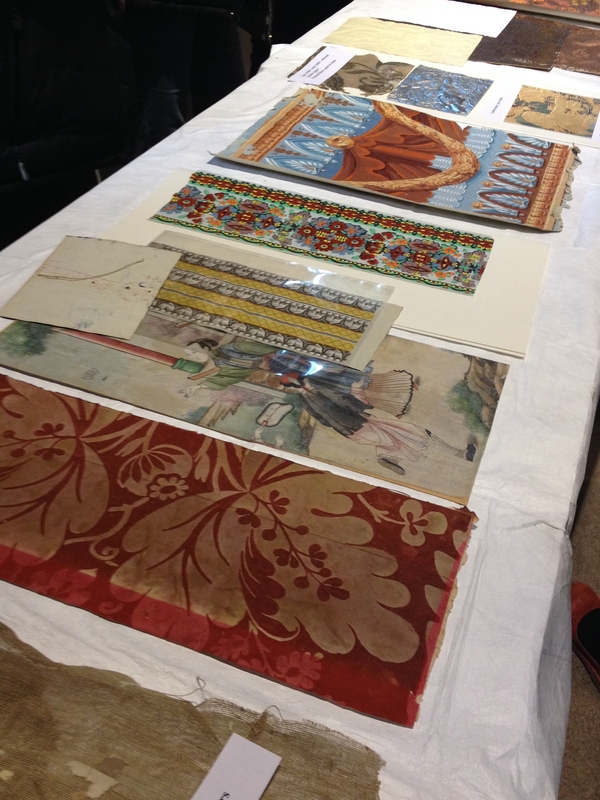 The majority of early William Morris wallpapers were produced with the block printed method, and many of the wallpapers at Standen were also produced using this method. Andrew Bush spoke about how he considered wallpaper in historic buildings to be ‘live’: there are plenty of examples of wallpaper in museums, but in historic buildings, wallpaper is still in situ; still serving its original purpose. This does have it cons – creating the right conditions to protect and preserve wallpaper can be difficult, as it’s a living, functional part of a building. It’s also tempting to try and interpret the age of wallpaper purely by considering its pattern, but it’s important not to rely on this – patterns come and go and only tell part of the story. It’s better to rely on other factors – printing techniques or tax stamps, for instance – to determine the age of wallpaper. – Insects: silverfish often ‘graze’ on wallpaper, because it sometimes contains starch due to glues, pastes or other adhesives. – Humidity: fluctuating humidity can cause mould and other problems. This in turn could exacerbate silverfish infestation, as they also like to feed on mould. 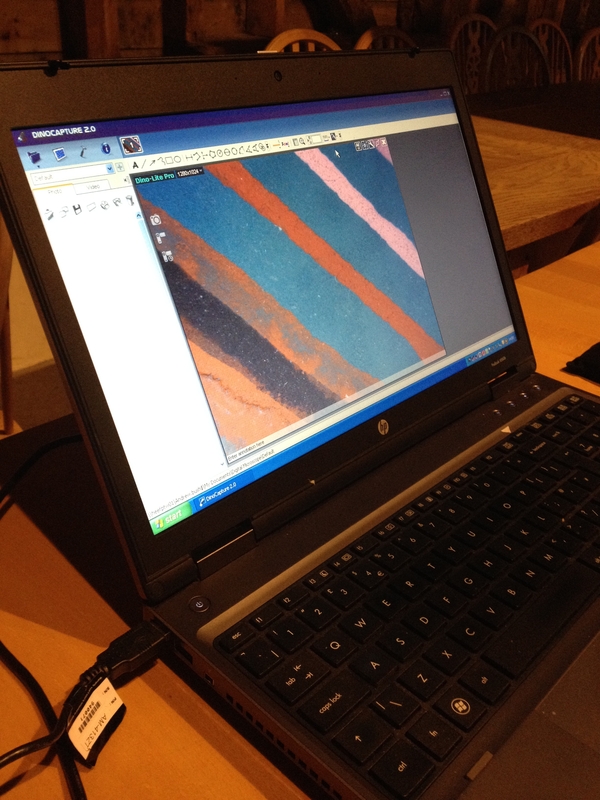 – Structural weaknesses: old leaks and other structural problems can cause lasting damage to historic wallpapers. – Unstable materials: the quality of the paper used in wallpaper manufacture can cause issues – sometimes the acidity in the paper can have an adverse reaction to the environment surrounding it. Therefore we have to keep a very close eye on wallpapers in our houses. If it is an especially significant piece of wallpaper, it’s important to understand exactly how stable it is – Andrew Bush recommended that a specific wallpaper monitoring process would be useful. 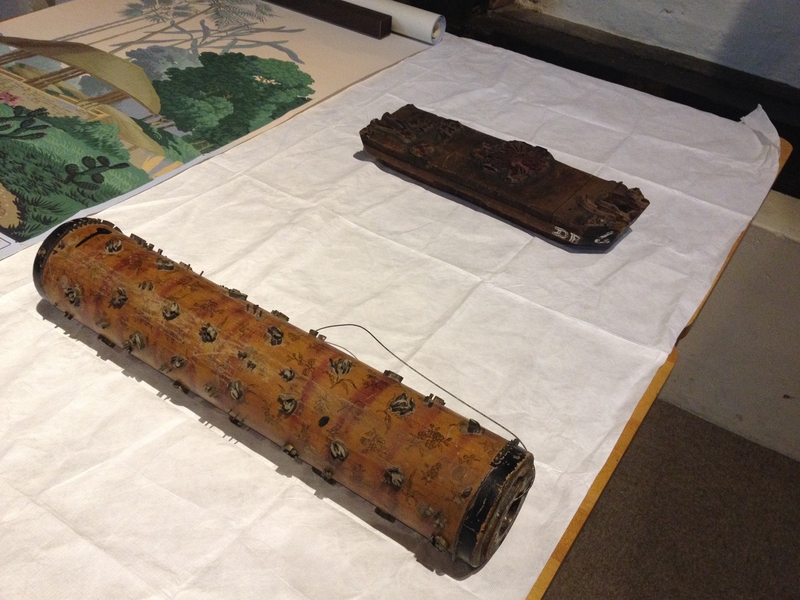 As part of the training day, we carried out a practical monitoring exercise; assessing an area of Standen’s wallpaper for areas potentially at risk. Using a strong raking light, we concentrated on splitting the area into a number of smaller areas to assess their vulnerabilities – what were the potential risks and how would we continue to monitor them? We concluded that one area of wallpaper was patchy, and appeared to have been damaged by silverfish in the past – we shared our findings with Andrew, and he confirmed the damage was probably the result of a silverfish infestation. Although there was no immediate evidence of a current silverfish infestation, we need to continue to monitor the area by using insect traps and visual checks, as the wallpaper in this area was clearly vulnerable. This was a really interesting and useful training day. Our wallpaper is a great asset to Standen and is such a prominent feature of the house – its important that we get to know the areas that are at risk from deterioration, and how we can best care for them. Categories: Uncategorized | Tags: Andrew Bush, collection, conservation, National Trust, Silverfish, Standen, training, Wallpaper, William Morris | Permalink.